Garden fencing is done to provide privacy to the garden, it also solves the problem of external noise entering your house. 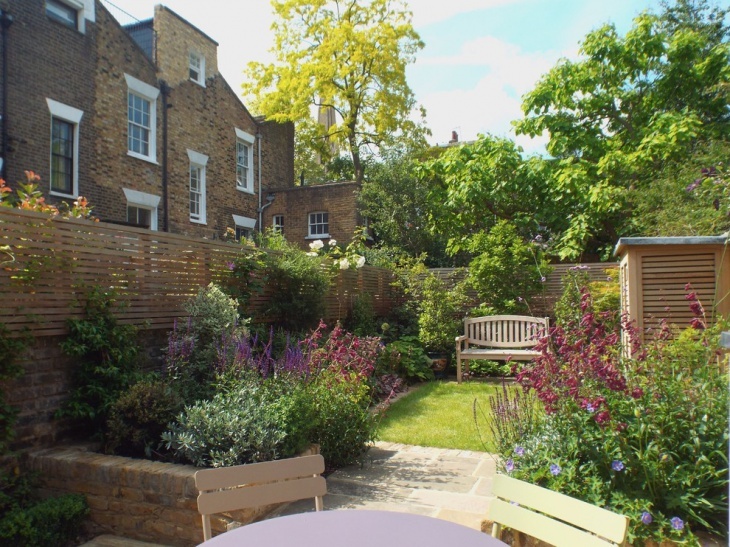 You could add privacy to your garden with a stylish touch by giving it a fence which also adds structure to the garden. 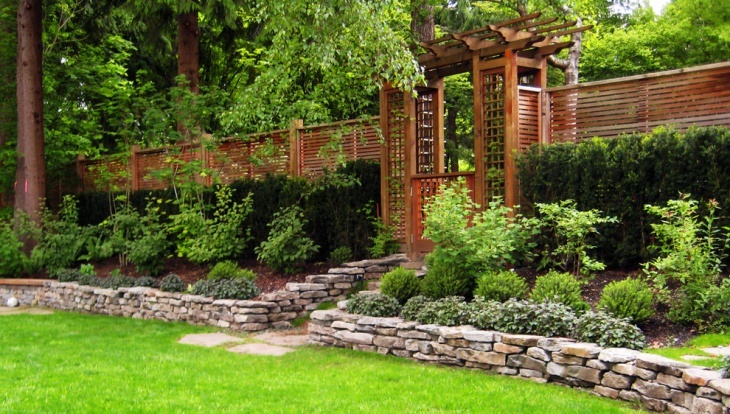 You can make your garden fence creative with DIY ideas that save a lot of your bucks too. 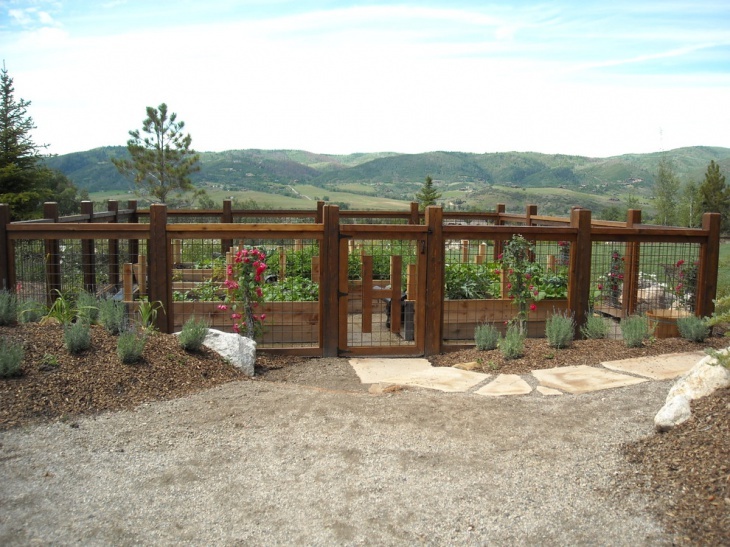 Below is a list of garden fencing designs that are creative and functional. This is a wonderful bamboo garden fence which is built in a traditional Japanese style. 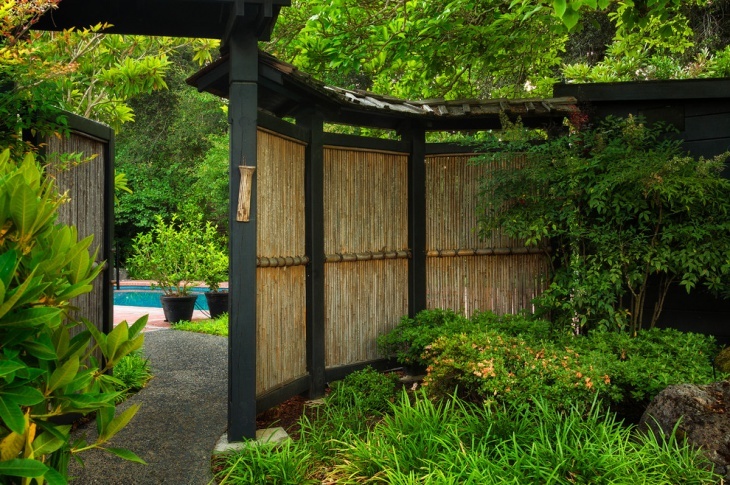 It is a backyard fence which has an amazing Japanese style gate that is built with bamboos and it is also economical and cheap. The best part about this fence is that you can build it on your own. 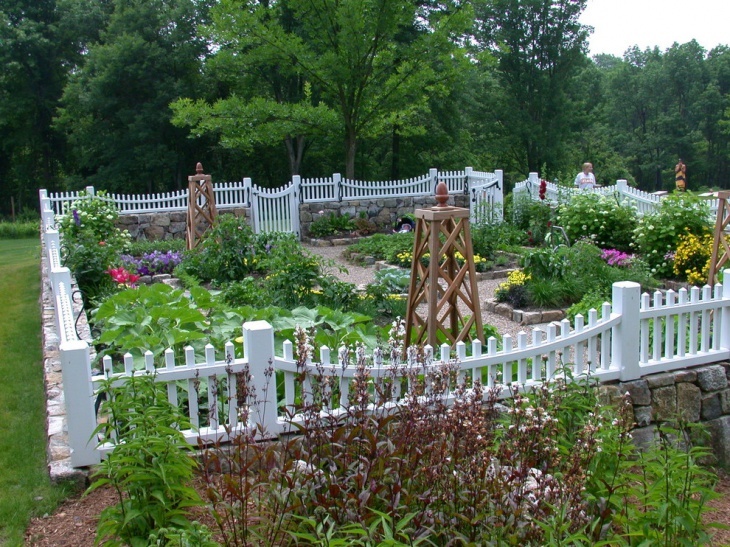 This is a small garden fence with a farmhouse landscape which is a backyard garden and contains vegetables. 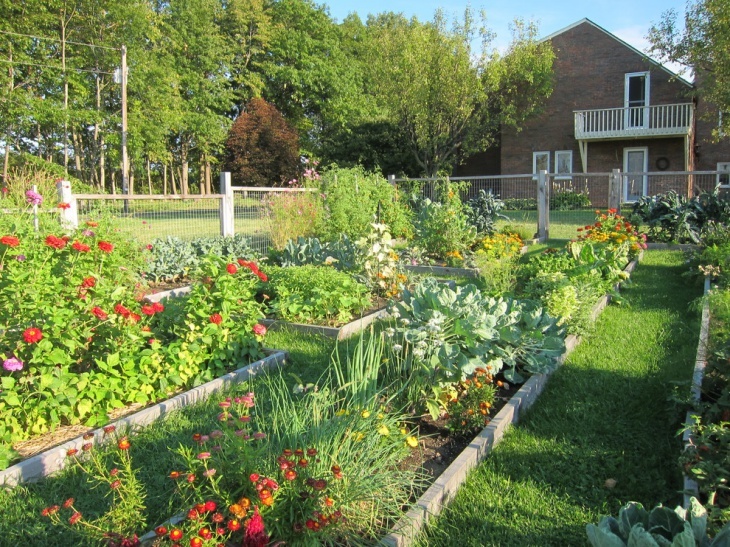 It contains raised vegetable beds and planters. 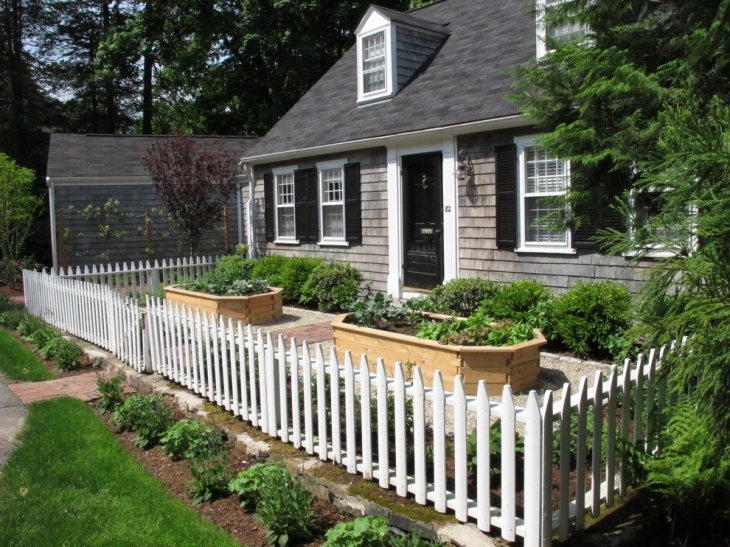 This is a traditional cottage with a front garden fence in a lovely vintage style in color white. 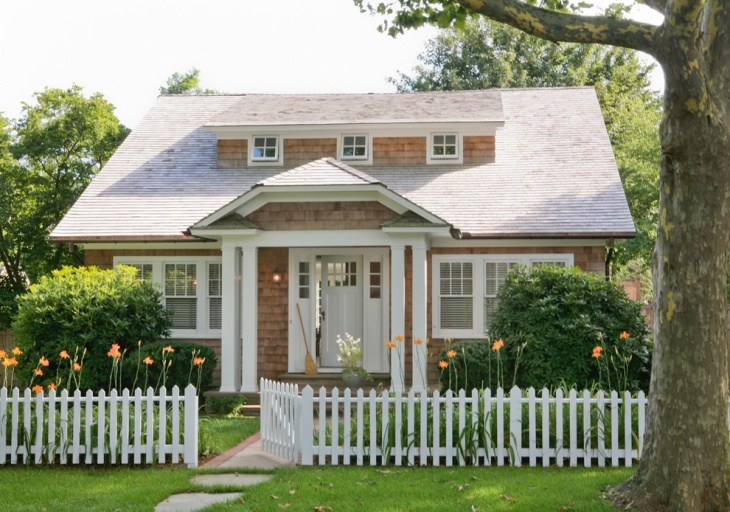 It is a painted white picket fence and has a traditional cottage style entry making this front garden a truly vintage garden landscape. 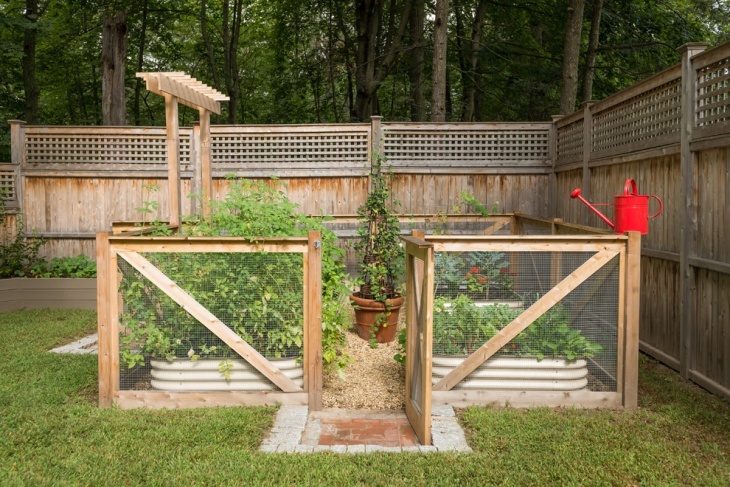 This raised garden bed fence design has a garden bed on a slope which features bamboos. 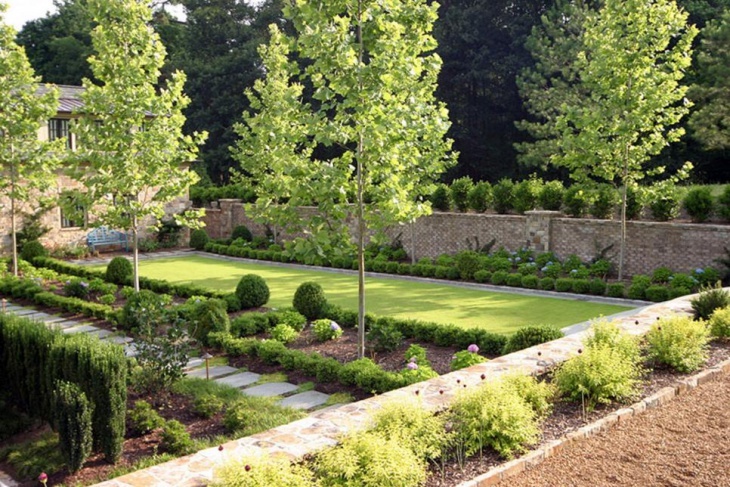 The stone walls are a timeless way of defining a garden space, be it an organic garden or grid-shaped. 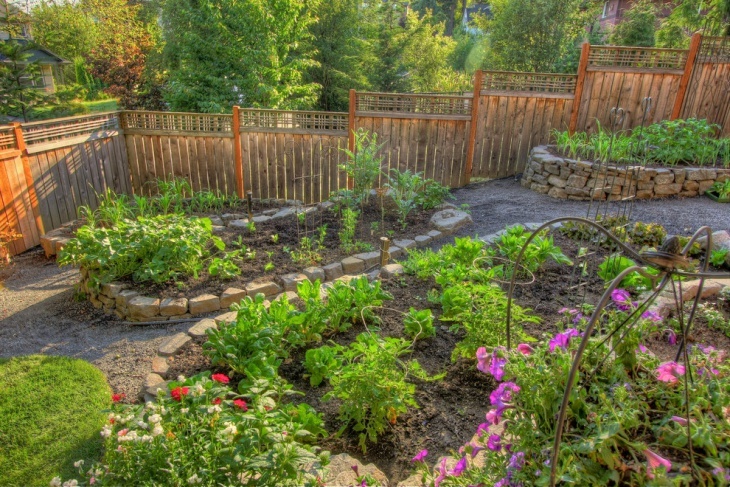 The garden has a very interesting design with elements that add definition to the space. 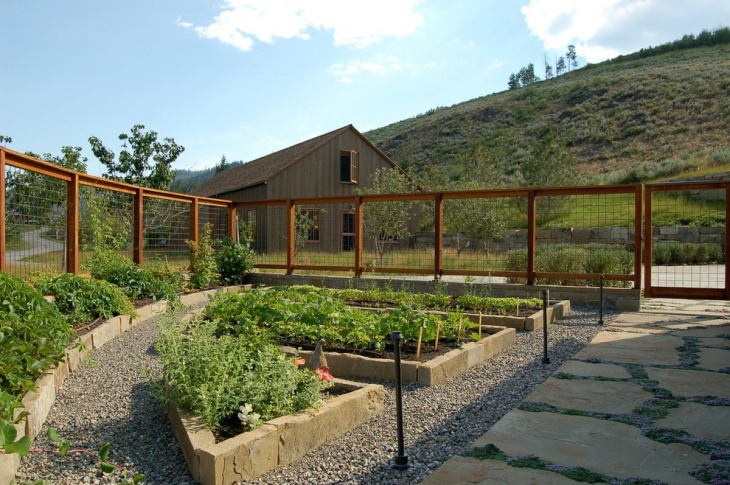 This traditional landscape in a rustic style features a garden fence that is a great way of protecting grazing animals from entering the garden. 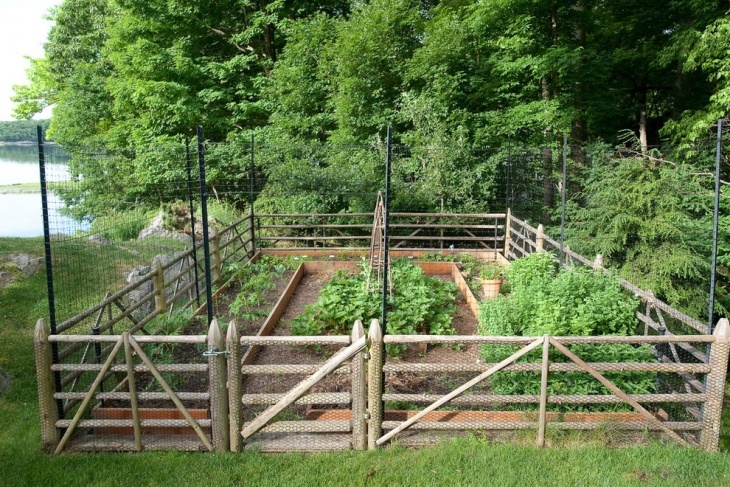 It is a standard fence with an additional deer fence and has a little fenced off area to stop the dog digging. 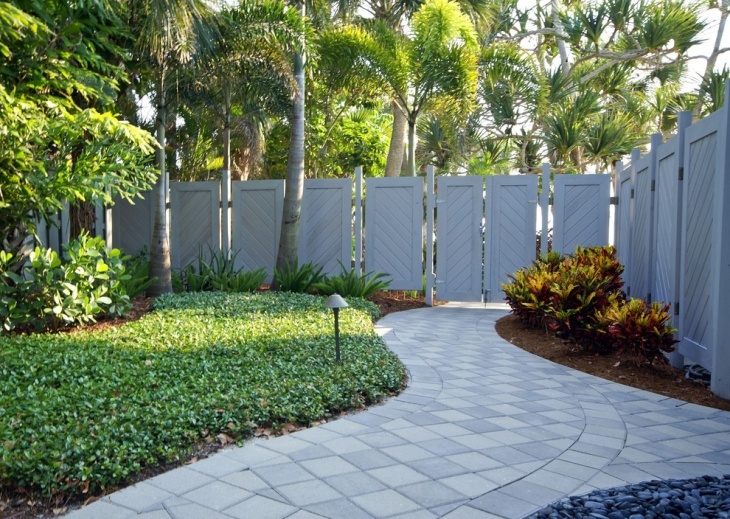 This is a front yard landscape which has a metal fence design which gives a very beautiful exterior appearance. Moreover, it also extends the security and privacy of the house. 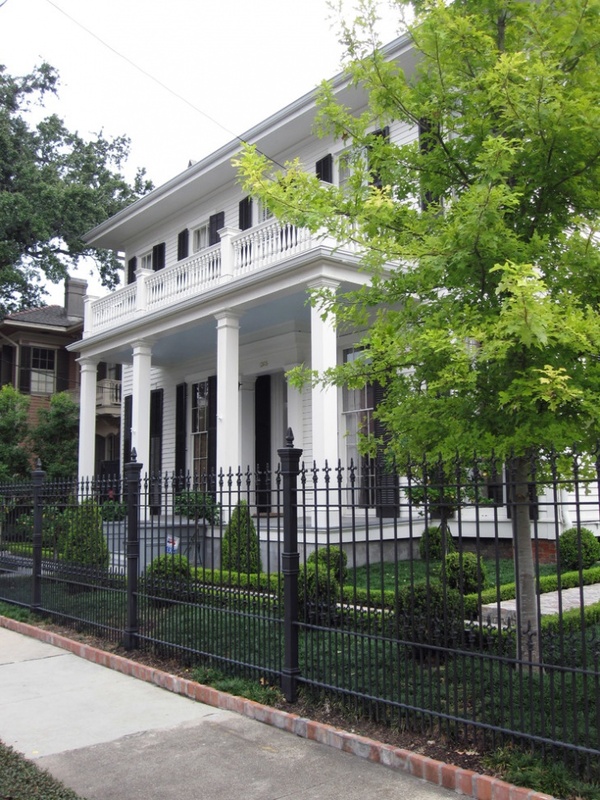 The fencing design and idea of this house matches beautifully with the exteriors. This is a Japanese garden fence that is horizontal and is made of cedar stones. The brick wall is leading up to the fence and although this is a non-solid horizontal fence, there is still a lot of space which makes the garden appear brighter. 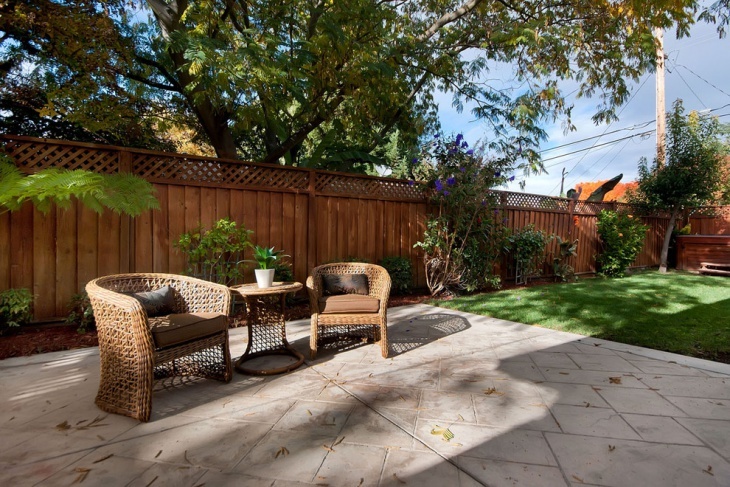 This is a small home with a traditional patio with a garden backyard fence featuring outdoor tables and chair for seating. The fence walls are high enough to protect from the outside nuisances. 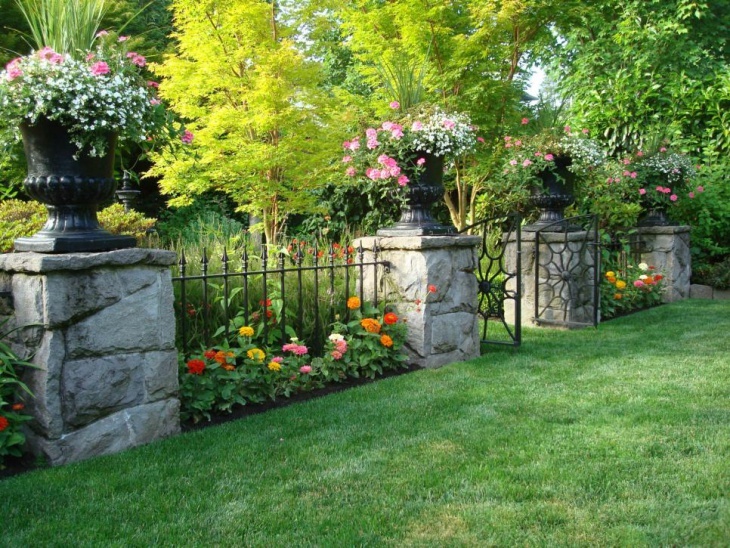 A garden fence is necessary in order to have privacy and protect from the outside noises. 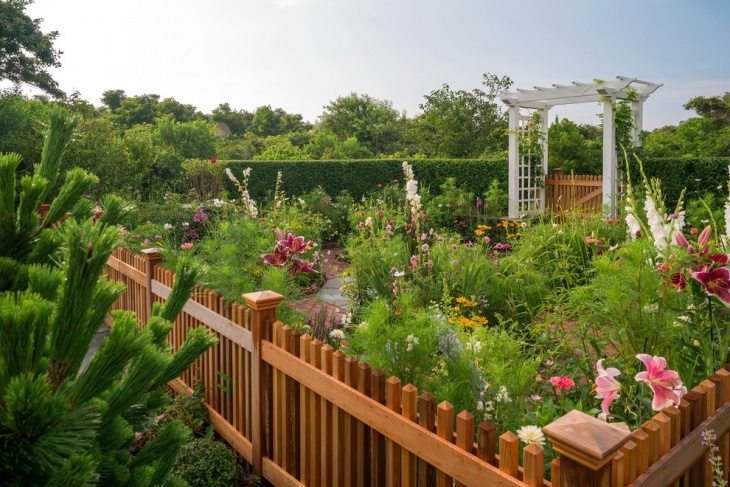 Nowadays garden fencing ideas range from creative to stylish and they add the much needed privacy to the gardens in the best way possible. Not only do they offer protection but also add to the beauty of the house.